The Annunaki were known to be able to levitate great stones, thus the walls in Peru, the Great Pyramids, and the heads on Easter Island. Man today cannot move such great stones, even with modern equipment. Per the Zetas, they associated with Service-to-Self aliens who performed these feats, in order to help the Annunaki intimidate man and thus induce the Annunaki to ally with the Service-to-Self orientation. These alien allies were a fat, short snake lifeform who were technologically advanced and could control gravity. These short fat snakes show up in Tibetan and Chinese artifacts, known as Pig Dragons, and these artifacts have an association with the Dropa Stones found in Tibet near burial chambers for an odd dwarfish hominoid in the mountains of Tibet. Per legends, these dwarfs were not native to the Earth. It has also come to light that Annunaki hybrids, the offspring of the Annunaki and humans, survived and lived in southern Mongolia too, as detailed in Issue 389 of this newsletter. The Annunaki were certainly in China and Mongolia. What is the connection? Early pig dragons are thick and stubby, and later examples have more graceful, snakelike bodies. For twenty years the Dropa stones were said to have sat in storage before they were given to Tsum Um Nui for study in 1958. It is said that he came to the conclusion that the grooves on the discs were actually very tiny hieroglyphs, none of which were of a pattern that had been seen before, and which can only be seen with the use of a magnifying glass. By 1962, he had allegedly deciphered them into a story that told of a spacecraft that crash landed in the area of the cave, the Bayan Har Shan region and that the ship contained the Dropa people who could not fix it and therefore had to adapt to Earth. Further, his research claims that the Dropa people were hunted down and killed by the local Ham tribesmen for a period. Tsum Um Nui noted specifically that one glyph apparently said "The Dropa came down from the clouds in their aircraft. Our men, women and children hid in the caves ten times before sunrise. When at last we understood the sign language of the Dropas, we realized that the newcomers had peaceful intentions". According to Chi Pu Tei, professor of archeology at Beijing University, in 1938 he and his students were on an expedition to explore a series of caves in the Bayan Kara Ula range of the Himalayan mountains, near Qinghai region. The caves appeared to have been artificially carved into a system of tunnels and underground storerooms. The walls, it is said, were squared and glazed, as if cut into the mountain with great heat. The explorers are said to have found many neat rows of tombs with short 138 cm skeletons buried within. The skeletons had abnormally big heads, and small, thin, fragile bodies. There were no epitaphs at the graves, but instead hundreds of 30 cm wide stone discs - referred to as Dropa Stones. 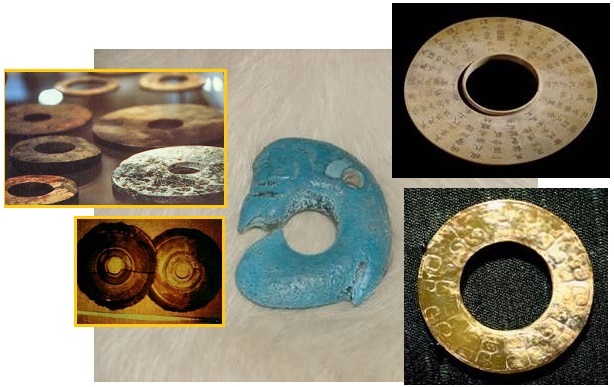 The disks were labeled along with other finds of the expedition and stored away at Beijing University for 20 years, during which deciphering attempts were unsuccessful. ZetaTalk Insight 5/24/2014: The Annunaki had an alliance with Service-to-Self aliens, who provided the Annunaki with the ability to lift heavy rocks in their structures on Earth, the better to intimidate early man whom the Annunaki had enslaved. This alliance formed the basis for the quarantine the Council of Worlds eventually imposed, so that man could have a balanced spiritual environment during its 3rd density experience. The major Service-to-Self influence upon the Annunaki is a 4th density life form that looks like a short, fat snake. It can manipulate gravity but uses more dexterous slaves for other tasks. Where visitations with aliens today are only recorded in the subconscious, a rule imposed by the Council of Worlds to reduce anxiety in man during the Awakening, in the past conscious contact with aliens was allowed. Thus man saw the Annunaki accompanied by the fat snakes they had as allies, and correctly associated them with conquest, enslavement, and everything evil the Annunaki were imposing upon mankind. An interesting twist to the story of the high tech dwarfs in Tibet are their connection to the legends of Thor, the ancient Scandinavian and Germanic god who could create lightning bolts to smite his enemies by throwing a hammer which the dwarfs had constructed for him. Thor, and the Visigoths of Germany, were of course Annunaki. Per the Zetas, the dwarf people in Tibet were Service-to-Self underlings of the Service-to-Self fat snake masters, who brought them to Earth as technicians. They all live on in legend as they are no longer of this Earth. Thor can be found in many of the early Germanic tribes and religious rites, being found in Scandinavian rituals as well as Saxon and Jutish worship in England. The spread of belief in Thor is largely believed to have been brought upon by the Norman invasions throughout northern Europe. 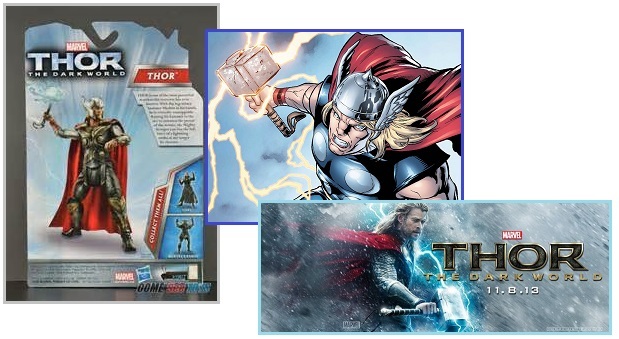 Thor is most well-known for his legendary hammer Mjollnir, or the crusher. The dwarves had forged this hammer for his hand alone and it had the magical ability to return to his hand after thrown. When thrown, the hammer would cause lightning bolts to strike his foes. 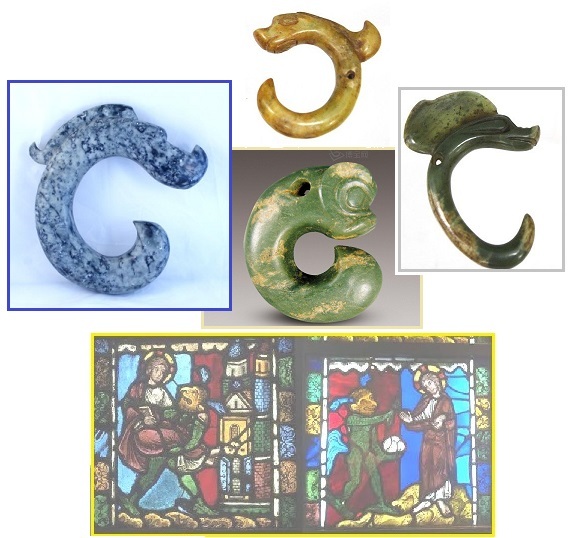 ZetaTalk Insight 6/14/2014: Dropa stones have a tendency to disappear from museums because they contain Annunaki codes and the elite seek to decipher them. Various theories exist. One theory is a relationship to hominoid aliens from Sirius, dwarf sized, who lived in Tibet and have since died out. We have recently detailed a type of fat squat snake that accompanied the Annunaki. We mentioned that this squat snake, which could levitate and manipulate gravity, used another life form, a dexterous life form, as a servant. This was a type of short squat hominoid, which mankind interpreted to be dwarfs. A colony was established in Tibet, as they evolved on a planet with thin air. Not being native to the Earth, they have died out, but live in legend. These hominoids were allowed to be servants to the snake lords as all were in the Service-to-Self, just as Service-to-Self lords bring their minions to Earth today to try to influence the souls of man to join their spiritual orientation. In anticipation of the announcement admitting that Nibiru, aka Planet X, exists and has been near the Sun lo these many years, NASA is braced against closer inspection of what their satellites and probes can provide. Their SOHO satellite images have been showing Nibiru and its Moon Swirls regularly, as this Pole Shift ning blog dedicated to these images shows. 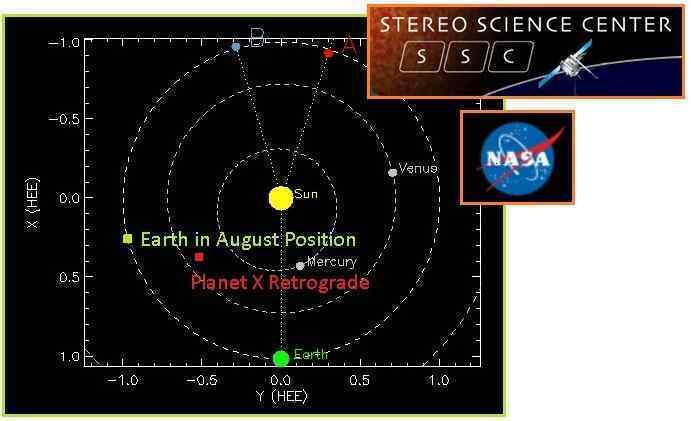 Their Stereo satellite images likewise have caught Planet X between them on more than one occasion, as was detailed in Issue 346 of this newsletter, proving that the Planet X complex lies within the inner solar system, within Earth’s orbit. But SOHO only shows a 2D view, where the Stereo satellites show a 3D view, and thus the public will want to use the Stereo views to determine for themselves how close to the Earth Planet X has come. Why would this make NASA nervous? They have never admitted that the Earth stopped orbiting in December 2003, as that would have forced an early admission about the presence of Planet X had they done so. And it also would have forced disclosure about the alien presence, because aliens are maintaining the seasons by tilting the Earth back and forth. Astute and observant humans have noted the constellations were not in the right place, but this was dismissed by the authorities, who have likewise ridiculed any observations noting the presence of Planet X or a daily Earth wobble. The halted orbit took NASA by surprise, and thus the early 2004 evidence in comets come early. NASA has two choices here, when the public starts rushing into the Stereo archives to check on the progress of Planet X as it approaches Planet Earth. NASA has been presenting the Earth in its expected orbit, in their diagrams, and now that the Stereo satellites are coming round to be positioned directly opposite the Earth, the Stereo images will be expected to show the Earth in that position. But it is not there! NASA can either fess up, or close down access to the Stereo satellite images to the public. They chose the latter. Unexpectedly high temperatures in the high gain antenna feed horns on both STEREO spacecraft will require corrective action in the coming months that will severely limit science operations. The high temperatures are being caused by the small angle between Earth and the Sun as seen from each spacecraft. In other words, pointing the antenna at Earth is putting too much solar heat on the antenna feed horn. A test of operating the STEREO Ahead spacecraft in this off-pointed mode will be conducted during the week of July 6-12, 2014. All science instruments will be turned off during this time, and instrument recovery operations are expected to take several days. The same test will be made on the Behind spacecraft from September 29 to October 6, 2014. Side lobe operations will start on the STEREO Ahead spacecraft on August 20, 2014, and on the Behind spacecraft on December 1, 2014. The two spacecraft will remain in this state for just over a year, with normal operations resuming in January 2016. As has been known since before launch, there will also be a several month period during this time when no communications will be possible with either STEREO spacecraft as they pass behind the Sun, simply due to too much interference from the Sun itself. ZetaTalk Insight 6/28/2014: A public alerted to the presence of Planet X slightly retrograde to the Earth will attempt to use the Stereo images to confirm what they have been told. They will want to see for themselves, just how big, how bright, how close the complex is to the Earth. Certainly the Ahead satellite has a better view of this area, thus it is being closed down first. After the announcement, many in the public would rush to examine the Ahead images and find that the Planet X complex is simply not there. Of course, it has been brushed out of the released images for years. This practice would start to be questioned, with the public realizing that NASA was complying with Reagan’s National Security edict, but wanting the real images now. NASA does not intend to give the public real data, as suppressing panic is still part of the establishment’s agenda. Once NASA has confessed, doctoring is supposed to stop. Migration is expected to move from a trickle to a flood in the coming years, as the Earth changes increase flooding and starvation. Certainly after the Pole Shift almost everyone is on the move looking for a place where life is better. Increasing migration has long been a ZetaTalk prediction. ZetaTalk Prediction 4/15/1999: You will find human populations beginning to migrate. These migration not only happens in cases of severe starvation, such as in northern Africa south of the Sudan, where people just stumble like sticks in any direction, looking for food, but also occurs when things get bad enough, when crop shortages are bad, and people begin to wander. They're looking for something better. So you will have migrations and you will have guards against migrations. Rifles at the border, pointed and saying don't come a step further and shooting people for little reason. Those countries anticipating an influx, or even just being in the heavy traffic lanes, are increasingly worried and making plans. Per the Zetas, this was a subject under discussion during the 2012 G8 meetings in Europe. ZetaTalk Insight 3/26/2012: The G8 countries know that they are expected to set the tone and direction for the G20 meeting. They are supposed to be the leaders. Pressing issues for many of the G20 countries will be the declining economy, starvation and crop shortages, the price of oil, and the rapidly rising migration problems whereby masses of people are on the move. Migration is stealthy, hidden, so can swell and present a problem suddenly for a country which had not realized an influx had begun. Do they return them all? Can they jointly block their borders? Most existing migration problems are not new. The desperately poor in Bangladesh, which is steadily sinking, trying to arrive by boat on the shore of India. 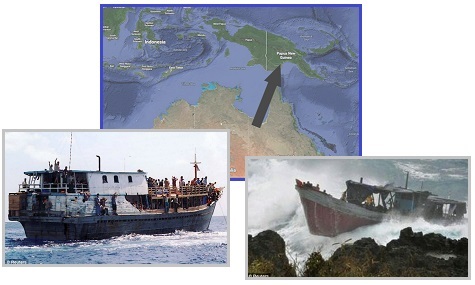 Indonesians trying to make shore in Australia, and being sent, by an agreement within Commonwealth countries, to New Guinea instead. Cuban refugees trying to float to the US, by whatever means. The turmoil from the Arab Spring sending boatloads of Africans into the Mediterranean, looking for a new life in Europe. A group of Cuban migrants who were anchored in an open wooden boat off the Cayman Islands for nearly two weeks obeyed a local government order to sail away, continuing their risky sea voyage in a quest to reach the United States. The Cubans were given an ultimatum to depart or be taken into custody and repatriated. About 30 bodies have been found in a migrant boat stopped between Sicily and the North African coast, Italian news agencies reported Monday, citing the navy and coastguard. The rescuers made the gruesome discovery when they boarded a fishing boat carrying around 590 refugees and migrants to evacuate those in most distress, including two pregnant women. Over the past weekend more than 1,600 migrants were rescued by Italian authorities, bringing the total number of migrants so far this year to above 60,000. The number is expected to soar past the record 63,000 set in 2011 during the Arab Spring uprisings. Italy has long borne the brunt of migrants making the perilous crossing from North Africa to Europe. And of course the steady trickle across the border between Mexico and the US, which includes migrants from Central America as well as Mexicans hoping for a better pay check. This is all complicated by the flow of drugs and battles between drug lords. Lately this has gotten worse. The stretch of the U.S.-Mexico border between Laredo, Texas and Nuevo Laredo, Mexico has been especially neglected by federal and state authorities and has become a hotbed of narco-trafficking activities for Mexican cartels. Approximately 70 percent of the Border Patrol agents in the area were no longer on the line protecting or patrolling the border, but rather assigned to provide care for the unaccompanied minors and incomplete family units crossing illegally into the U.S. from Mexico. A disturbing trend of adults “renting” children in Central America in order to increase their chances of being able to stay in the U.S. once they cross over. This is a phenomenon that has gone on for years if not decades. If the same group of organized criminals is trying to move drugs you can distract them by having a group of children moving into one part of Texas and then you have your drugs moving in a few miles away. One-third of young girls that come across get raped and/or abused on the way here. The Vickers ranch is one of the many land spreads affected by the surge in illegal immigration. What is more concerning to the ranch owners is the type of people trekking through their land. Vickers and her husband own and operate a nearly-1,000-acre ranch in Brooks County. Vickers reports anyone who crosses her fence line to Border Patrol. Earlier this week, Vickers took a photo of a man on her front porch. She said the man had a Tango Blast tattoo. Tango Blast is the largest and one of the most dangerous gangs operating in the state. The U.S. southern border has often been the scene of law enforcement operations to counter drug trafficking gangs and illegal immigrant smugglers. There had been 300 documented incursions into the United States by Mexican military and law enforcement authorities since 2004. If these immigration issues are a trickle now, what will happen when they become a flood! Per the Zetas, if immigration restrictions do not suffice, or are being ignored, then travel restrictions will be imposed, so that any movement by anyone will be challenged and checked. Your passport. Your reason for needing to drive down this road or boat on this river. Your cargo and passengers. All will be questioned and the consequences increasingly brutal. ZetaTalk Prediction 1/7/2003: Travel restrictions will likely be imposed by governments in response to migrations, but not until this occurs. Thus, this will vary by country, within country, and in truth is in place long before pole shift issues such as weather changes and increasing starvation occurred. The US has restrictions on immigration from Central America and Mexico, but wet backs and illegal nannies employed in the US have been a long standing problem. North Korea is starving, the starving children among the populace creeping into China to raid fields and beg food ongoing for some years. Thus, until the week going into the shift, when all controls are likely to be lifted due to distraction by those assigned to enforce the restrictions, any number of controls may be imposed, and suddenly, based on Earth changes. Two new video clips added July 17, 2014 – Annunaki Traces and Migration Routes. Zeta Report 63 - The Annunaki have left the Earth, quarantined from mankind, but their handiwork, myths, and blood lines still persist. On YouTube. Zeta Report 64 - As the sea level rises, and sloshing tides increase, what migration routes will those who are drowning take, and how will those routes be blocked? On YouTube.